Budget 2018 has been a major budget over the last three years of the existing government in power. This time the Honourable Finance Minister Mr Arun Jaitley has considerably taken care of each segment of the economy and fairly well budget was presented and proposed to the Nation. Indian economy is now 2.5 trillion dollar economy in FY 2017-18. IMF has forecasted that India will grow at 7.4% next year. Exports are expected to grow at 15% in 2017-18. India is expected to become the fifth largest economy very soon. The government will focus on strengthening agriculture and rural economy, provision of good health care taking care of senior citizens, infrastructure creation improving the quality of education. Improvement of India’s ranking in the World Bank’s ‘Ease of Doing Business’ by 42 places in last three years. Rolled out two interlinked programs – Smart Cities Mission aims at building 100 Smart Cities with state-of-the-art amenities and the AMRUT to focus on providing water supply to all households in 500 cities. National Highways exceeding 9000 kilometres length will be completed during 2017-18. Railways’ Capex for the year 2018-19 has been pegged at `1,48,528 crore. Airline companies placed orders for more than 900 aircrafts. UDAAN will connect 56 unserved airports in India. All trains to be progressively provided with wifi and CCTV. Doubled the allocation on Digital India programme to Rs. 3073 crore in 2018-19. Department of Science & Technology will launch a Mission on Cyber-Physical Systems to support the establishment of centres of excellence. The task of connecting one lakh gram panchayat through high-speed optical fibre network has been completed under phase I of the Bharat net project. The system of toll payments physically by cash at road toll plazas is being fast replaced with Fastags and other electronic payment systems to make road travel seamless. A Scheme will evolve to assign every individual enterprise in India a unique ID. Setting up a model aspirational skill centre in every district of the country under PradhanMantri Kaushal Kendra Programme. It is proposed that every block with more than 50% ST population and at least 20,000 tribal persons, will have an Ekalavya Model Residential School, by the year 2022. Propose to launch a major initiative named ‘‘Revitalising Infrastructure and Systems inEducation (RISE) by 2022’’ with a total investment of Rs.1,00,000 crore, to step up investments in research and related infrastructure in premier educational institutions, including health institutions. Launch the ‘‘Prime Minister’s Research Fellows (PMRF)’’ Scheme this year, which would identify 1,000 best B.Tech students each year from premier institutions and provide the facilities to do PhD in IITs and IISc, with a handsome fellowship. Any distribution of Income by the Mutual Fund (MF) being an equity oriented fund, the MF shall be liable to pay Income Tax at 10% on the income so distributed. The Domestic shall be liable to pay tax at 30% on deemed dividends as an earlier tax on deemed dividend was paid by the shareholders in whose hands such income was taxable. Domestic companies having the turnover of less than INR 250 Crores in the Previous Year 2016-17, the applicable tax rate is 25% plus applicable surcharge and cess. Applicable to a certain class of companies as defined below. The Finance Minister has introduced the standard deduction of INR 40, 000 per annum or actual salary whichever is lower shall be allowed to all assesses having income from salaries. There would be no exemption available of INR 15, 000 from perquisite of Reimbursement of Medical Expenditure to an employee. 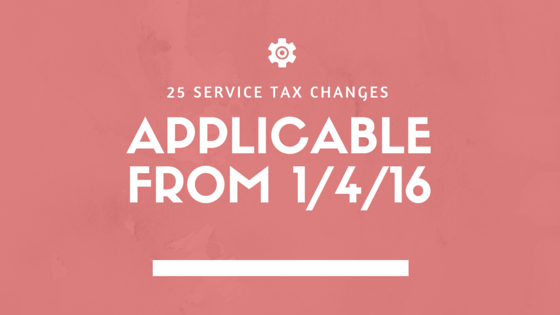 Also, exemption in the Transport Allowance has also withdrawn after the introduction of the standard deduction. Earlier conversion of capital asset into inventory was taxable with special treatment under section 45(2). However, there was no vice-versa provision i.e., taxability of conversion of inventory into the capital asset. The same is now proposed to be taxed at fair market value as on the date of conversion under section 28(via) read with section 2(24)(xiia). Also, the cost of acquisition in such case for the converted capital asset would be the fair market value as on the date of conversion and period of holding such capital asset would commence from date of conversion. The lacuna in the Income-tax act has been fixed. A transaction in respect of trading of agricultural commodity derivatives, which is not chargeable to CTT (Commodity Transaction Tax), in a registered stock exchange o registered the association, to be treated as non-speculative transaction u/s 43(5). Note: Earlier, the presumptive income tax scheme u/s 44AE was applicable uniformly to all the classes of the goods carriages irrespective of their tonnage capacity@ Rs. 7500/- per month. Section 43CA(4) to be amended to provide that stamp duty value of land, building or both being inventories to be treated as full value of consideration as on the date of agreement and NOT date of registration if consideration or part thereof is paid on or before date of agreement by account payee cheque or account payee draft or use of electronic clearing system through a bank account. Earlier the mode prescribed was ‘other than cash’. Section 115BA to be amended to provide that tax @ 25% on specified domestic companies is restricted to the income from the business of manufacturing, production, research or distribution. 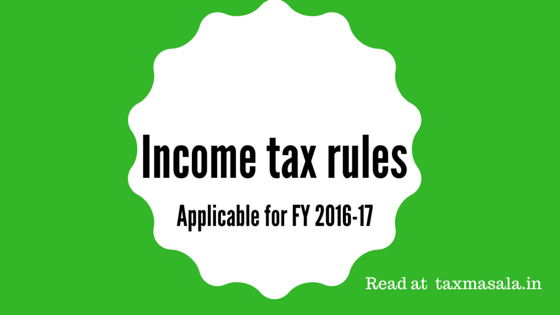 Income arising from other than the specified business shall be taxed at applicable rate already provided in the act. Under Section 115JB (MAT) is to be amended to provide that the aggregate amount of unabsorbed depreciation and loss brought forward (excluding unabsorbed depreciation)shall be allowed to be reduced from the book profit, if a company’s application for corporate insolvency resolution process under the Insolvency and Bankruptcy Code, 2016has been admitted by the Adjudicating Authority. Section 115JC (Alternate Minimum Tax) is to be amended to provide that income derived by Non-Corporate Assesse from the unit located in an International Financial Service Centre (IFSC), shall be charged at 9% as compared to the earlier charged at 18.5% of Adjusted Total Income (ATI). This is the case being considered after certain petitions being put up by the stakeholders with the finance ministry. Valuation of inventory shall be made at lower of actual cost or NRV computed in the manner as provided in relevant ICDS. Valuation of purchase and sale of goods or services and of inventory shall be adjusted to include the amount of any tax, duty, cess or fee actually paid or incurred by the assessee to bring the goods or services to the place of its location and condition as on the date of valuation. Inventory being securities not listed, or listed but not quoted, on a recognised stock exchange, shall be valued at an actual cost initially recognized in the manner as provided in relevant ICDS. Inventory being listed securities, shall be valued at lower of actual cost or NRV in the manner as provided in relevant ICDS and for this purpose, the comparison of actual cost and NRV shall be done category-wise. 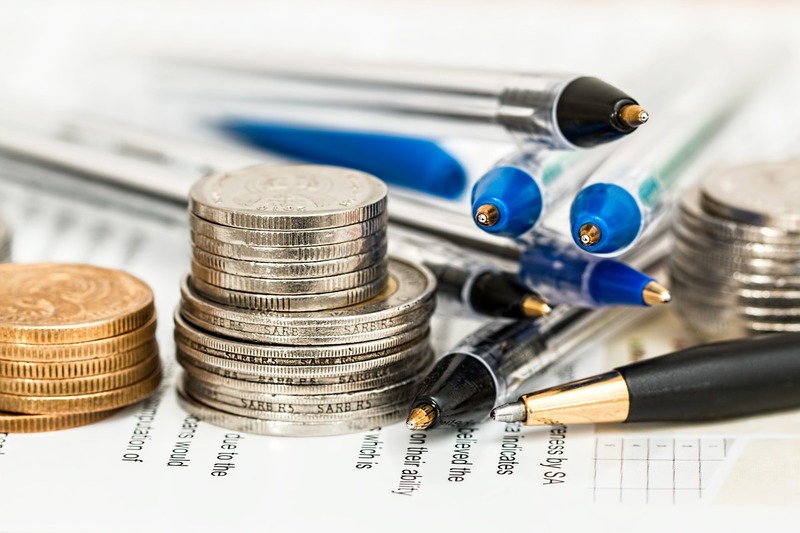 Interest received by an assessee on compensation or on enhanced compensation shall be deemed to be the income of the year in which it is received. Claim for escalation of price in a contract or export incentives shall be deemed to be the income of the previous year in which reasonable certainty of its realization is achieved. Income referred to in section 2(24)(xviii) [subsidy, grants, etc.] shall be deemed to be the income of the previous year in which it is received, if not charged to income tax for any earlier previous year. The new clause (xvii) in Section 36 is being inserted to provide that deduction in respect of any marked to market loss or other expected loss shall be allowed if computed in accordance with the ICDS. Consequently, section 40A is also being amended to provide that all marked to market losses or other expected losses other than those which are allowed under section36 (xvii) shall be disallowed. Note: Retention money shall be the part of contract revenue and any incidental income like interest, dividend or capital gains shall not be reduced from contract costs. Section 49 of the Act is being amended to provide that cost of acquisition for the purposes of computation of capital gains of inventory which is converted into or treated as the capital asset, arising on transfer of such capital assets, the fair market value on the date of conversion. Section 50C is being amended to insert the proviso to provide that consideration received or accruing from the transfer of land, building or both shall be deemed to be the full value of consideration if stamp duty value is less than 105% of the consideration received or accruing from transfer of any asset for the purpose of computing capital gains. Section 54EC is being amended to restrict the benefit of exemption under this section to the long-term capital asset being land or building or both only. Earlier it was available to any long-term capital asset. Also w.e.f. 1st April 2018 investment in such bonds shall stay invested for 5 years instead of 3 years earlier. This has been considered as a certain set back over the utilisation of funds over the shorter period of time. A set Back for FII & Equity Investor in India?? Earlier Tax on Long Term Capital Gain of listed shares which were sold by paying Securities Transaction Tax was exempt u/s 10(38). The said exemption shall be withdrawn with effect from AY 2019-20. New section 112A to be inserted to provide that, the long-term capital gains arising from transfer of a long-term capital asset being an equity share in a company or a unit of an equity oriented fund or a unit of a business trust to be taxed at 10% only if exceeding Rs. 1 Lakhs. Unit of an Equity Oriented Fund or a Unit of a Business Trust is subject to STT being paid at the time of transfer. No deduction under chapter VIA shall be allowed from such capital gains. Similarly, the rebate under section 87A shall not be allowed from the income tax on such capital gains. 30% of the expenditure incurred on which TDS was to be made but not made – similar tosection 40 (a) (ia). Payment of any expenditure in cash exceeding Rs. 10000/- per person per day – similar to section 40A (3) / (3A). Any income arising to a non-resident by way of royalty from, or fees for technical services rendered in or outside India to National Technical Research Organization would be exempt in new sub-section to be inserted (6D) in section 10. The benefit of Tax Exemption u/s 10 (48B) is being extended to income from sale of left overstock of crude oil even if the agreement or arrangement is terminated in accordance withthe terms mentioned therein. Section 80AC is being amended to provide that, the benefit of deduction under sections80HH to 80RRB shall not be allowed unless the return of income is filed within the due date of filing IT Return u/s 139(1). Deduction for medical treatment of specified diseases in respect of Very Senior Citizen up-toRs. 80,000/- and in case of senior citizens up to Rs. 60,000/- subject to specified conditions under section 80DDB consolidated for senior and very senior citizen and increased toRs. 1,00,000/- for both. The definition of eligible business to be expanded to provide that the benefit would be available if it is engaged in innovation, development or improvement of products or processes or services or a scalable business model with a high potential of employment generation or wealth creation. Section 80JJAA to be amended to extend the relaxation of 150 days presently available to apparel industry, to footwear and leather industry also.Further, it is also being provided that this deduction of 30% shall be available for a new employee who is employed for less than the minimum period during the first year but continues to remain employed for the minimum period in the subsequent year. New section 80TTB to be inserted to allow a deduction up to Rs. 50,000/- in respect of interest income from deposits held by senior citizens. However, no deduction under section 80TTA shall be allowed in these cases. The Finance Budget 2018 plays a very important role for any economy as it sets the visions and action plan of the government in the coming future and accordingly we have this budget being a trendy budget i.e. different from traditional budget as the Finance Ministry has discussed about the Digital Economy, Bitcoins, long-awaited changes being proposed in the income tax after recommendations from various stakeholders and also sets the dreams of Indian Youth to be fulfilled in the years to come. Tarannum Khatri is Chartered Accountant of India and Founder of Taxmasala.in. She is currently practicing in taxation field. Besides practice, she loves music and reading great minds..You connect with her on FB by clicking button on right side.